The modern-day Holy Grail for marketing communications–relevant, powerful content–requires a new way of thinking about marketing as a media outlet. 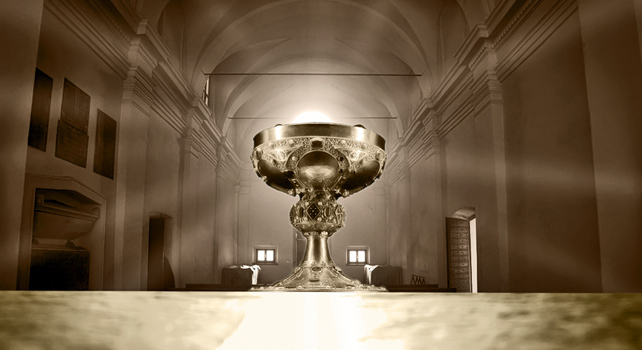 The Holy Grail has inspired ancient Celtic folklore as well as many Hollywood adventure films. During last week’s annual VOCUS User’s Conference, I discovered that the modern-day Holy Grail for marketing communications — relevant, powerful content — also inspires marketing professionals during times of turmoil. Stories like these abound. But don’t let your quest for the truth get in the way of this good story. In this case, it’s the metaphor, not the story details that matter: the Holy Grail represents divine power. In doing so, marketing and PR professionals hold the power to captivate and capture people’s attention. Ragan provided some excellent examples of content curators across many traditional industries, as well as those under tremendous transformation, such as health care. Mayo Clinic, HealthwatchMD.com, and Cleveland Clinic showcase patients and expert video clips. American Express OPEN publishes pithy articles and is void of any invitations to sign up for their card. Nuts about Southwest is run by 30 employees who produce content. They include flight attendants and luggage handlers. Be the inside “go to” person for all things social media. Watch for new patterns emerging, such as Pinterest, and revenue performance management solutions. Become a leading content creator and curator for your organization. VOCUS customer Ed Adams, Public Affairs Manager at DuPont, suggests you develop multiple types of news releases. These include releases that showcase external recognition, new innovations, and customer success. If your company is more mature, include legal or reputation management related topics in the mix. Practice “refrigerator journalism.” That is, build content that is so brief and controversial that people clip it and put on their refrigerator. Produce an online newsroom site. Shy away from using this site to promote your products and services. Make the primary goal to share wisdom and insights that your community really needs to succeed. Build relationships with both traditional and new media sources. Jay Kenny, VP of Marketing at Alarm.com, recently told me that “Instead of running 10-20 marketing strategies (across online and offline outlets), we run 50-70.” As a result of their disruptive interactive security solutions and creative marketing messages, they now boast over 850,000 users. Mark Ragan, in my opinion, stole the VOCUS show. He truly believes that most marketers don’t think of themselves as a media outlet–but we should. As senior marketing leaders yearn for their seat at the strategy table, the place card that says “chief content officer” will ensure they are not preparing for the Last Supper.